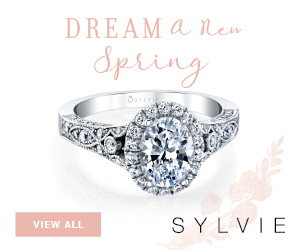 As women get more involved in the selection of their engagement ring, the color trend is becoming even more popular year after year. 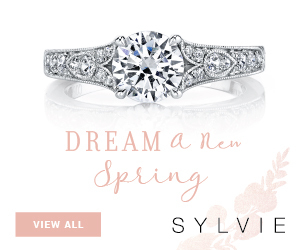 Truth be told, it is the easiest way to personalize an engagement ring and make it even more yours, either by picking a meaningful birthstone or your favorite color. This season, designers were inspired by the many shades of green. Here are my 6 favorite picks. I am totally in love with the rose gold and green combination. 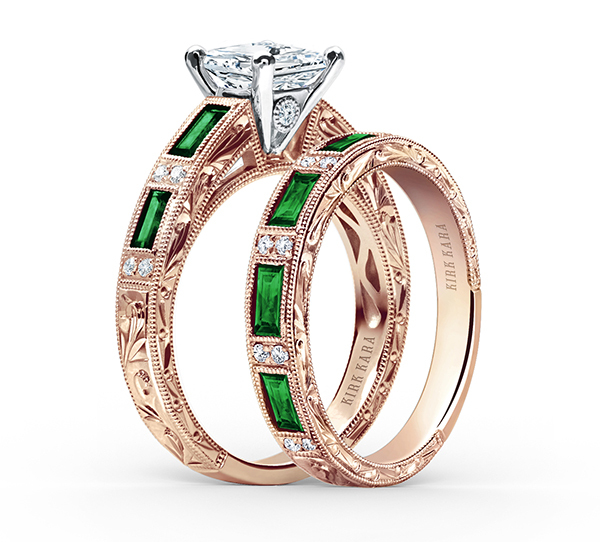 This set with tsavorite accents is designed by Kirk Kara. Tsavorite is a green garnet, close in color to the emerald yet more affordable and more sparkly. 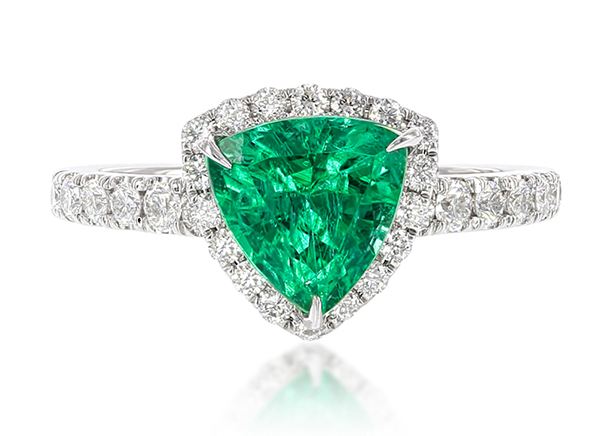 If you want to look at the most amazing emerald jewelry, check out Takat. 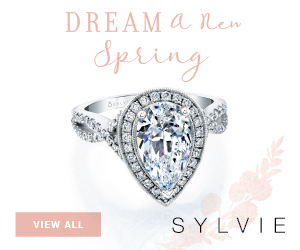 You might not own yet the millions of dollars needed to purchase one of their Couture sets… No problem, they also offer a beautiful and affordable line of color engagement rings. When it comes to emerald engagement rings, designers often present designs with a traditional emerald cut center. Takat goes beyond the expected with with round, oval, cushion and as pictured here, edgy trillion centers. 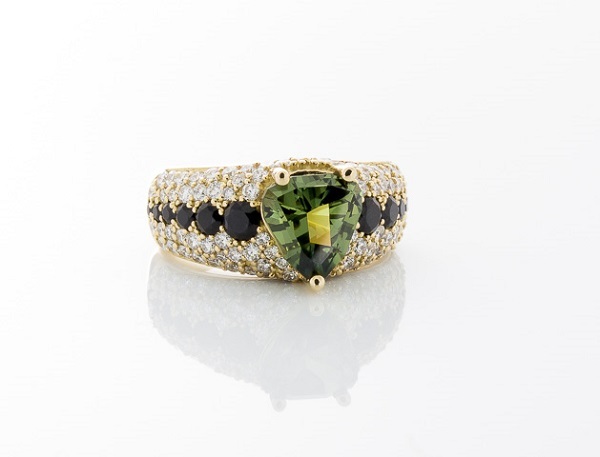 This ring features a rare Top Notch Faceting Nigerian sapphire in the shape of a shield with black spinel and white diamond accents. It is one of a kind and designed by Alexis Kletjian. I just saw it in person recently, it’s a very special piece. Erica Courtney knows how to pick the most amazing gemstones. The name of her Drop Dead Gorgeous collection is not a euphemism. 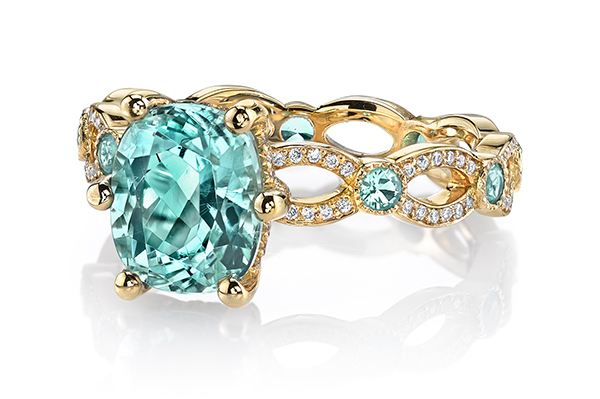 The proof is in the picture above, this stunning Annalise ring, set with paraiba tourmalines and diamond accents. 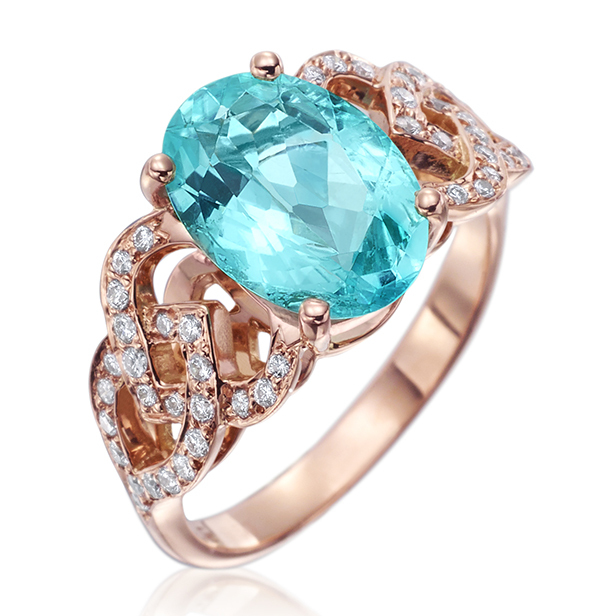 Paraiba tourmalines are really hot this season. I like bright green more than dark green so I adore their unique hue. 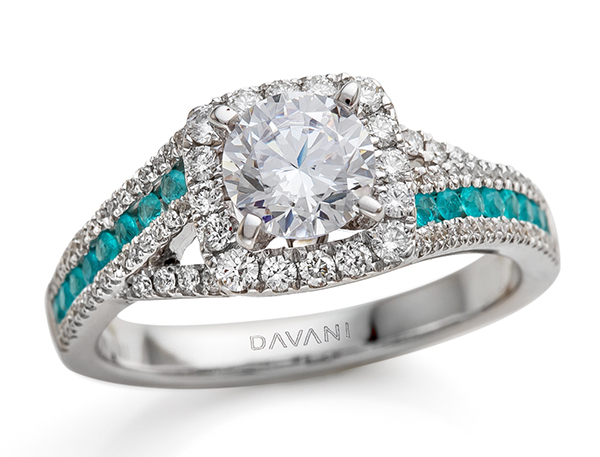 This engagement ring is designed by Davani. It’s interesting to see how the white gold gives an even brighter glow to the tourmalines in comparison to the yellow gold. As you know yellow is a mix of green and blue so yellow gold tones down the fluorescence a little bit. Let’s conclude our experiment on how paraiba tourmalines look depending on the metal with this Gumuchian ring set in rose gold. 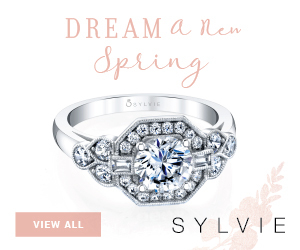 I am in awe of this ring. I saw it set with a peridot center too and it looks great. Peridot is also a great green gemstone option if you favor more of an olive green hue.